Section 1—What is ADHD Coaching? ADHD is a neurological condition that affects children, adolescents, and adults, causing them to have a wide array of differences and challenges compared to neurotypical individuals. Those with ADHD may face difficulties in school or at work; problems with impulsivity and discipline; hyperactivity (primarily in childhood); trouble organizing their time, tasks, and environments; exceptional struggles with procrastination and distraction; deficits in setting priorities and following through; difficulties with social situations and relationships; and a variety of substance abuse issues, including alcohol, drug or food addictions. Many with ADHD are helped by therapy and prescription medication from appropriate providers—psychologists or psychiatrists as the case may be. These approaches are important and yet they leave a large gap that can be powerfully filled by an ADHD coach, who has different professional training, skills, and aims for serving the client. An ADHD coach can play a major role in helping those diagnosed with the disorder to function at their best, enhance the way they see themselves, and have hope for the future. ADHD Coaching requires a unique set of skills that are not taught in traditional coach training programs. An ADHD Coach works with individuals who feel or think they may have (or know they have) ADHD or ADHD-like qualities. ADHD Coaches may also work with persons who do not have the disorder themselves but must deal with ADHD in someone they’re living with, related to (e.g., a spouse or child), or working with (e.g., a business partner or colleague). This much-needed area of coaching also demands specialized knowledge beyond that usually offered in coach training programs. An ADHD Coach needs to be sufficiently knowledgeable about the disorder and how ADHD can impact the client and others in the client’s life. That knowledge deeply influences how they work with the client and informs the ADHD coach’s insights, but is valuable in another way as well: ADHD coaches generally need to do a certain amount of education about the disorder and its effects along with coaching itself. One relationship that can be impacted by ADHD is the coach-client relationship itself and a well-prepared coach must understand this and know how to manage it. It is because of this unique set of knowledge and skills that ADHD Coaches around the world have felt that an ICF credential alone cannot identify who is a competent ADHD coach. 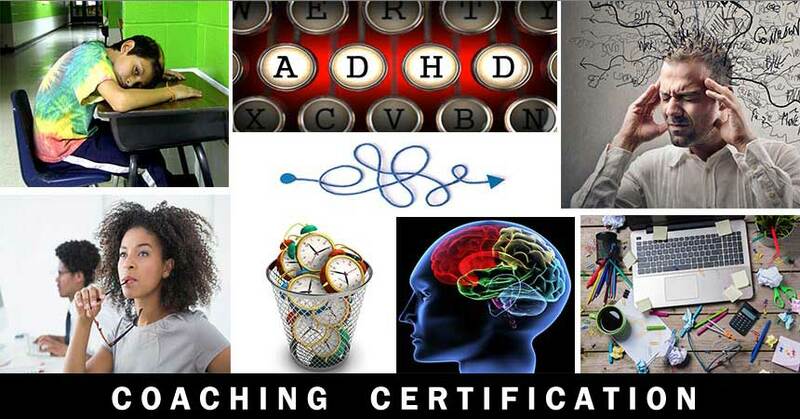 By becoming a credentialed ADHD coach, you become part of a growing community of ADHD Coaches who have been formally assessed and are determined to meet the highest standards of skill, experience and training. This kind of certification also signals to clients and the wider community that the ADHD Coach is committed to delivering the highest level of ADHD coaching. Currently, the only active global credentialing organization for ADHD Coaches is the Professional Association of ADHD Coaches (PAAC). PAAC is the international organization responsible for establishing and maintaining global standards of excellence for credentialing ADHD coaches and accrediting qualified ADHD coach training schools and programs. PAAC was created with the mission “to establish high standards of excellence in our ADHD certification and accreditation programs. [PAAC] advocates for coaches and the profession of ADHD coaching…” The MentorCoach® ADHD coaching master classes are designed to address the core competencies of PAAC. MentorCoach® is pleased to report that its ADHD coach training program has been approved and awarded accreditation by the Professional Association of ADHD Coaches (PAAC). In fact, MentorCoach® is one of only two coach training schools in the world to be designated as a PAAC Accredited ADHD Coach Training Program. There are two routes to become a PAAC Certified ADHD Coach Practitioner (CACP) through MentorCoach®. If you have been designated a Certified MentorCoach (CMC) by MentorCoach® or if you are an ICF Certified Coach (ACC, PCC, or MCC), you have already demonstrated that you have coaching skills at or above the level of an ICF Certified Coach. Complete the three Positive Psychology and ADHD coaching classes shown in Section 5 below. Pass an oral exam by submitting a 30-minute recording of one of your coaching sessions. The ADHD oral exam fee is $150. Demonstrate that you have completed at least 150 hours of coaching ADHD clients and/or clients whose lives have been impacted by someone with ADHD. Of these 150 hours, at least 105 must be paid coaching hours, while up to 45 may be pro bono. Additionally, you must accrue the 150 hours by coaching at least 10 different clients. You can also become a PAAC Certified ADHD Coach Practitioner (CACP) through MentorCoach by becoming a MentorCoach® CMC (Certified MentorCoach) while successfully completing the three ADHD coaching courses, the four required coaching skills classes and at least one additional elective. This is the route most of our students take. Complete the three Positive Psychology and ADHD coaching classes listed in Section 5 below. Pass a live oral exam for your CMC Certification. Demonstrate that you have completed, at least, 150 hours of coaching ADHD clients or a client whose life has been impacted by someone with ADHD. Of these 150 hours, at least 105 must be paid coaching hours. Additionally, you must accrue those hours by coaching at least 10 different clients. Demonstrate that you have completed, at least, 150 hours of coaching ADHD clients or a client whose life has been impacted by someone with ADHD. Of these 150 hours, at least 105 of those hours much be paid coaching hours. Additionally, you have to have coached at least 10 different clients. Complete any other requirements set forth by PAAC. Here are the three ADHD Coaching Master Classes required for everyone seeking to be certified as an ADHD coach through MentorCoach, shown along with the course instructor and next offering. Coaches who have completed these three classes report that their knowledge and comfort level in working with this population increases significantly. Each of the three master classes is briefly described below. Please click on any of the course titles to take you to the master classes page for more details or to enroll. The Positive Psychology and ADHD Coaching Master Class (12 hours) teaches much of the nuts-and-bolts information about ADHD needed to be an effective ADHD coach. Topics include symptoms, diagnostic methods, and medications; the importance of viewing each client as an entire individual; key challenges and useful interventions. Several case studies will be presented for class discussion. An expected outcome of this class is for each participant to have their own personal toolbox of interventions that they can use when coaching clients with ADHD. The Positive Psychology and Advanced ADHD Coaching Master Class – Adults (13 hours) is designed to put the coach’s skill-set into action with clients. Each week is dedicated to a specific ‘type’ of client issue. The class focuses on adults with ADHD-type symptoms as well as issues that are unique to adults with ADHD. Situations related to working with spouses of those with ADHD are also addressed. Each participant has an opportunity to present a coaching conversation to the class, with a class debriefing afterwards. The Positive Psychology and Advanced ADHD Coaching Master Class – College Students, Teens, Children and Parents (13 hours) is designed to put the coach’s skill-set into action with clients in the relevant categories. Each week is dedicated to a specific ‘type’ of client. The class focuses on children, teens and young adults with ADHD or ADHD-type symptoms. Situations related to working with parents of individuals with ADHD are also addressed. Each participant has an opportunity to present a coaching conversation to the class, with a class debriefing afterwards. Alan Graham, PhD—a therapist, coach, educator, author, and presenter—has over two decades of experience helping thousands of ADHD children, adolescents, adults, and their families navigate life’s challenges and gain the tools needed to manage emotional issues. Initially trained as a secondary and elementary school teacher, Alan went on to earn his Ph.D. in Counseling Psychology at Northwestern University, completing his clinical training at the University of Illinois at Chicago and Illinois Masonic Medical Center in Chicago. Alan was in MCP 3 and is a long-standing member of the trainer team for MentorCoach. Alan is a Professional Certified Coach (PCC) through the ICF and was a Pod Leader for the Authentic Happiness Coaching Program. Alan is also a Senior Certified AD/HD Coach (SCAC) through the Institute for the Advancement of AD/HD Coaching. Alan has worked with difficult children and adolescents in therapeutic day schools, inpatient, and outpatient settings. While creating his group practices, ACP Consultants, and the ADD Centers, he also was also an adjunct professor at the University of Illinois School of Medicine and at the Illinois School of Professional Psychology. As a way of giving back to the profession, Alan serves as a member and was the chair of the steering committee of the American Psychological Association Psychology in the Workplace Network (PWN). He also served on the board of the Illinois Psychological Association Clinical Practice Section and was the chair of the Health Care Reimbursement Committee. Alan was a member of the Editorial Board of the Journal of Attention Disorders. Alan is also a member of the national organization of CHADD and served on the Professional Advisory Board for the Chicago CHADD chapter. It is in this spirit of service that Alan and Bill Benninger, PhD, created ADDvisor.com as a means to share practical information with families and individuals who live with ADHD every day. Note: MentorCoach reserves the right to modify tuition and the requirements for certification at any time.